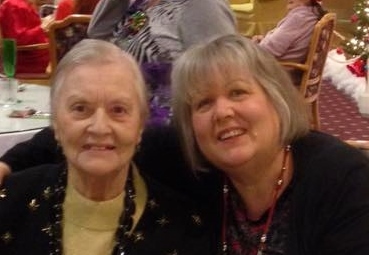 On Good Friday, March 25th, at 6:20 PM after a very long battle with Alzheimer's, I said good bye to the very best person I have ever known, my dear mom. Last year during Holy Week, mom moved the amazing Memory Care unit at the nursing home. For several months she thrived there. Late last fall she became sick and never really got fully well again. She continued to loose weight and become very frail. On March 2nd, she started care under hospice right at the nursing home in her own bed in her own room. It was a rough few weeks and during Holy Week, on Good Friday, I kissed her goodbye as she took her very last breath here on earth. And while I am broken hearted and missing her so very much, I am also rejoicing that she now she is free from the grips of this horrible disease. At the memorial service I read an updated version of the tribute I wrote to her on this blog in 2008. I have included it below. "A mother holds her children's hands for a moment, but their hearts forever". That is one of my favorite quotes. And I think it could be said in reverse too - don't you? I know I will hold my mom in my heart forever. I am one of the really lucky ones in this world. I had such an amazing mom! She was one of my best friends and I would not be the strong confident woman I am if it weren't for her. Actually I might not be a wife and mom it weren't for her fixing me up with the cute college guy that worked at the drugstore where she was a bookkeeper. We will celebrate 41 years of marriage in June so suffice to say ~ MOM KNOWS BEST! Everything mom did, she did well and with love in her heart. It started right at the beginning with the Christening gown with the teeniest buttons, snaps and bows, little jacket, slip, bonnet and felt shoes she made for me when I was baptized. She made Easter dresses, winter coats with matching hand muffs, back to school clothes and even learned how to sew her own lined pinch pleat draperies and slipcovers for the furniture. When the six of us traveled cross country in a station wagon pulling a pop up tent trailer that we opened each night and closed each morning for six weeks - YES SIX WEEKS - my mom and sister and I had matching clothes. She was a saint to take four kids on a trip like that!!! And there was the year she sewed dozens of Barbie and Ken doll outfits and all the little accessories that went with them for me for Christmas. Have you ever seen how teeny those arm holes are? Every Christmas was special in our house with her handmade decorations like her famous pine cone wreath and handmade Christmas stockings. She also painted and I have a still life portrait in my kitchen and portraits of each our two kids she did when they were young. Several family members are the lucky recipients of the quilts she made - including the ones she made for Jay's crib and Jen's bed. When there was a bake sale at school, no plain old brownies for my mom. She made dozens of whoopie pies~ the best ones you have ever tasted. At Christmas time she made cookies that were works of art and so many different kinds too. 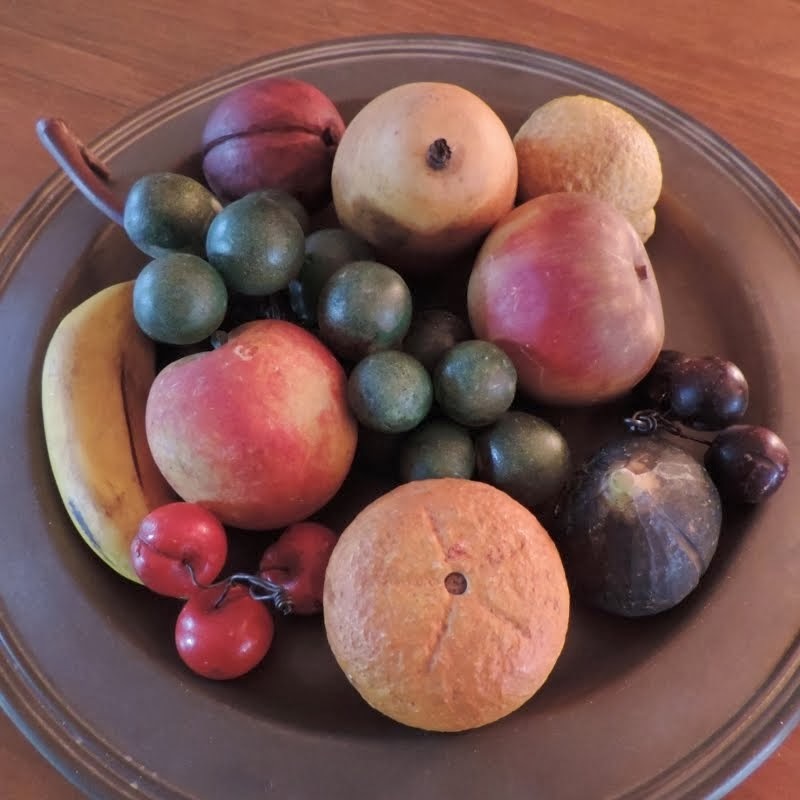 In the summer she would make pickles and relishes and jams and jellies from the fruits and veggies in season or the ones she grew in her own backyard. We ate a lot of watermelon so she could pickle the rind. Made with clove and cinnamon, they were sweet and crisp. When we had lamb, we had homemade mint jelly to go with it, horseradish sauce with roast beef and cranberry relish with our turkey. I cannot think of anything my mom couldn't and didn't do. True story she actually went to the old Girl's Trade School at night and learned every trade they offered. They finally said "Beverly, we have nothing left to teach you". She helped with Girl Scouts and was a Den Mother for Cub Scouts too. She made every occasion special. She made panoramic sugar eggs with little scenes inside for Easter and she blew out the inside of real eggs and decorated the delicate shells for an Easter Tree. There were never any store bought Halloween costumes ~ we all had unique hand made ones. She decorated sneakers and t-shirts for the 4th of July for the grand kids. And every birthday, our cakes could have graced the cover of Woman's Day or Good Housekeeping. We had dolls and trains and rockets ships. Easter meant a Bunny Cake and there was a flag one on the Fourth of July with fresh berries. She did that before it was in style. And I can't forget her trademark meat stuffing for the turkey at Thanksgiving and the special Lithuanian dish we have only at Christmas, Easter and Thanksgiving called Potato Kugelis. She didn't stop when we grew up. She made my wedding dress, her Mother of the Bride dress, the flower girl's dress and decorated all the garden hats we wore. She would have made the cake too if someone didn't stop her! My first Christmas as a married woman, I got ornaments made from some of the leftover wedding dress lace. They still hold a place of honor on my tree every year. When she and dad lived on Cape Cod, she would make cassette tapes for my kids. She would read holiday stories and played songs on the piano and she and my dad and grandmother sang along. For us big kids, growing up, listening to mom play and sing along to her piano music was second nature. It was truly epic when she no longer remembered how to play. After moving to the nursing home, I tried numerous times to get her to sit at the piano there. Only once in 4 years did she agree and thankfully she did remember a few notes. But music continued to bring her joy for most of her days there. She knew all the words to every song at every musical event, and there were many of them! She couldn’t sit and carry on a conversation so my way of spending time with her several days a week was to take her for long rides. I made CD’s of songs familiar to her and she sat back, crossed her legs and sang along to the music for as long as I would drive. So I drove – sometimes 2 and 3 hours all over Massachusetts. When the kids got old enough, mom would do crafts and cook with them. She would take Jason to the movies I didn't want to see and she would paint Jen's nails and toes. When they moved to the Cape, she made sure to build extra bedrooms downstairs and an outside shower and bought them their own sand toys and beach chairs so her kids and grandkids would want to go and stay there. She took them to the Herring Run and the Cape Cod Potato Chip factory and every other fun thing she could find. When they were older, she would drive back here for Jen's dance recitals and Jay's football games. That's just the kind of Mamma she was. When mom and dad started to need help at home, I also was watching our granddaughter a few days a week so often Lili would go with me to see my folks. By then, Mom was well into her struggle with Alzheimer’s so while I helped Dad with the bills or other chores, I would set up Mom and Lili at the table with the playdoh and cookie cutters. She could still share her love of creating with her great grand daughter. It was perfect! While some of that is a recounting of what my mom did with my family, I know my sister and brother have their own stories of time with our mom. And I can’t forget that she took in her own mother for the last years of her life and of course she took on many extra duties when our dad’s hips and legs failed him. Not only did she make sure we were loved and cared for, fed well, dressed well, educated, safe and secure, but she also worked overtime to make sure there was as much joy and magic in our lives as she could. As I said, I am one of the lucky ones in this world. I got to be her very blessed daughter. And even though she deserves to rest, I have no doubt that up in heaven she helped serve the best Easter dinner with one of her fancy cakes and Potato Kugelis and has already started planning the best parties complete with piano music and lots of singing and dancing. RIP MOM!! I love you, a bushel and a peck and a hug around the neck!! " I have heard that God only takes home the very best on Good Friday and I believe that to be true! Now I start a new chapter in life as I learn to live without my precious mom. It's time to give back to the people that treated my mom as a member of t heir own family and I have started the ball rolling to start volunteering starting in May, on the very Memory Care Unit where mom spent the last year of her life. The staff are so very caring and loving and the residents have captured my heart as well. I am looking forward to spending some time with them each week. It is with great sadness and heartache that I tell you that we lost my dad in the wee hours of the morning on Saturday, July 7th. I still can’t believe I am saying those words. A few short weeks ago, my dad finally decided that it was time to move to a nursing home. I had finally found one that could take them together at the same time and in the same room. And when he decided it was time, he wanted it done NOW. I was somewhat surprised that he never wavered once as he had many times before when my sister and mother cried and got very upset, but now I know why. I now know my dad knew it was time. He knew he was failing. At his request, I moved them on June 25th and the first few days went well. My mom needed lots of reassurance that she could come and go still and that there were activities and life outside her little room with my dad, and of course there were some adjustments needed to the bathroom to accommodate my dad, but they were settling in. With the help of my sister, I got very busy starting the clean out of their home, and on my own, I met with their lawyer and started the mounds and mounds of paperwork needed to qualify them for Medicaid, set up a trust and get the house ready for the market etc. Then things changed rapidly and my dad got very sick and after x-rays and blood work and labs, we knew he was gravely ill. The staff went into Hospice like mode at my request and I called the family to come to be with him, and within 2 days my wonderful loving caring dad was gone home to the Lord. The staff kept him medicated and out of pain and peaceful and that is such a comfort to me. He died very peacefully. The accommodations they made for my family went above and beyond. They have been amazing. Now it is time to get back to life, have some Lili time, help my mom cope with this overwhelming loss, and get back to the mounds of paperwork, deal with life insurance, transfer of assets and all the new paperwork that comes with the death of a loved one who happened to be a veteran and retired Federal employee. I still need to have that estate sale so we can sell the house and continue on as I promised my dad. My last words to him were that I would take care of mom and that he didn’t have to worry about her, and I intend to honor those words. I had so many other things planned for my last blog post, but none of them seem important right now. I will mention though that I had planned to show you the bed my honey and I finally got, like this one from the the Boyz at Circa Home Living – one of my all time favorite online shops! You can find them on FB ~here~. Noel and Verge pick the best quality reproductions to sell in their catalog. I have always been thrilled with everything I have ordered from them and this is no exception. The picture above is from their website – of their own bed in their home. Isn’t it wonderful??!! I don’t own a period home and I suspect my room is smaller so it looks quite different in my home but isn’t that art of the fun of decorating? 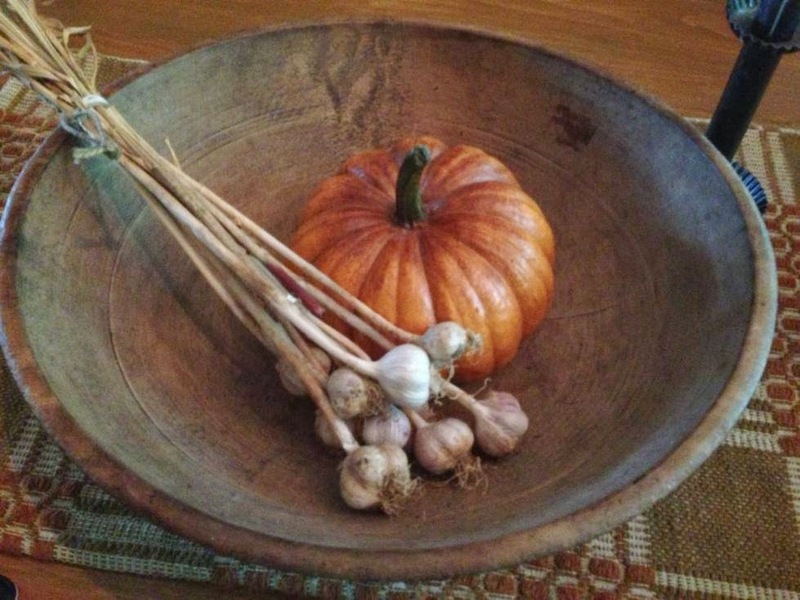 Being inspired by what we see in other homes and then making our own home personal to us? Of course a new bed meant some tweaking and changes but I still don’t have all the linens I ordered so you will have to check my Picture Trail in the future for those pictures – when I get my Nikon back from the repair shop that is! That’s another cause for the delay of picture taking. In the midst of this heart ache and the admittedly overwhelming details I still have to attend to in a very short amount of time, we have some many wonderful things to look forward to! Knowing how difficult this summer would and will be for me, Mr. Red Door suggested a wonderful venue for Jen’s bridal shower in August in a wonderful restaurant overlooking the golf course where he spends every weekend morning. They will attend to most of the details except the fun things like the games and invitiations. I’ll get the help of her bridal party for those details. Then of course comes the October wedding! Plans are coming along nicely for that as well! We just know it will be sunny cool day and we are all eagerly anticipating the early evening wedding and reception! And I have decided to make another big change and this will be my last blog post. Blogging just takes too much time away from other things I want and need to do. I had decided this long before my folks moved or my dad got sick, but the events of the past few weeks only confirmed this is right for me now. My blog will go on hiatus and instead I will post updates on Face Book as time permits. It’s quicker and easier to update that way, and so many friends and bloggers have gone in that direction too. You can find my public FB page by clicking on the big blue F logo up there on the right. That is the FB page I have set up specifically for all the wonderful folks who have followed me here or found my Picture Trail or through the magazine. YOU DO NOT have to be a FB member to see that page!! Because it is a fan page, you don’t have to request friendship, instead all you have to do is stop by and visit!! I am not accepting friendship requests under my personal name as I need to keep that to my family and very close friends. Just look for me on the fan page please. I will miss all the wonderful bloggers and followers I have met here but I hope you will join me there instead!! I am back and I have so much to share with you! March was quite a month and I am here to share the best parts with you! Most of our daughter’s wedding details have come together nicely and we are deep into planning and preparations. Four years ago I had just started bogging just weeks before our son’s wedding and reception. I was a big part of the planning and preparation then as well – from invitations to centerpieces – I had my hand in it. And the same when my sister got married many years ago and I have helped two close friends with their daughter’s weddings so I know that if I can get it done months ahead of time, it is a wise thing to do. There are always last minute glitches and changes to deal with and I never know what will change with my parent’s right now either. There changing needs and my sister’s personal problems make it ever more challenging to keep them in their own home. So whenever I have some time and my daughter has time, we get whatever we can done. The Save the Date cards go out this week so the push is on! March was my birthday month and I got to spend some quality time with girlfriends. My dear friend Karen from the Catskill Mountains was in MA to visit her son, DIL and grandson so it was the perfect time for us to get together. Did I ever tell you her son lives in the same town as my parents and sister? Small world! Karen and I spent some shopping and then had dinner back here and she brought me this sweet painting as a hostess gift. I just love it!! It’s hanging on the small wall at the top of the stairs. I know some of you are saying “hey she moved the furniture around again! “ I sure did so you will see some changes! I got a several treasures in the mail since I was here last month. First I got this prim little bunny made by my dear friend Lana of Winterberry Primitives. Isn’t she sweet? Her name is Miz Blue and she is holding a baby shoe filled with teeny eggs!! Lana makes the sweetest prim dolls and critters and they always have such cute stories to tell! …and this gorgeous hooked rug! Kathy is so generous. If she can’t use something in her home anymore, she kindly passes it on to a friend! Isn’t that just the kindest thing ever? Both pieces will be treasured! One day not long after I put the rug on the table, Lili was here and she was playing with the roasted corn my friend Lynda gave me. Lili stopped long enough to tell me “It’s OK Meemee, I just ‘tending’ (pretending) to feed the bunny. She won’t really get a tummy ache”. …and another day she was using a bunch of my old utensils with her play-doh. Prims makes great toys, simple as that! I got a wonderful new light recently at my friend Barb’s store The Gingham Goose in Rochester, MA. It has 3 lights and is called the Hudson. My friend Janet emailed me last night and she just had opened a ox for her online shop. She now carries the exact same style light and several other amazing lamps and sconces in her online store Winter Willow Primitives if you are in the market for great made in the USA lighting! Another day, Audrey and I met up with our friend Laurie and we shopped in MA, CT and RI. I had some birthday money and I came home with a bunch of treasures that day! Some of the books live here and the others are in my office. These three old bowls I came home with that day… I had another idea for them but so far they are sitting here! ….and the pantry box was added to my stack in the living room. The last weekend in March, Audrey and I had planned to drive to NY to meet up with friends Karen, Terry and Kris but for various reasons, it didn’t work out at the last minute. So we took advantage of the day and headed to a big antique show in CT – The Quiet Corner Antique show. There were some amazing pieces there!! What a show! And after that, we headed to some other shops in CT and MA and I once again came home with some goodies. Audrey reasoned that we would have spent quite a bit going away for the weekend, so I actually saved money buying these things. Don’t you love how she thinks?? It works for me!! You can see basket next to my blanket chest in the picture above. The pewter spoon is the new spoon rack my dear friend Jill made for my birthday. She just whipped it up one weekend in her garage in SC. I have wanted a change over here and this was just the solution! And the candle mold is with my other one. I guess I need one more to make it a collection?? …along with the small colonial pewter salt cellar Jill also gave me. Can you believe I am not done yet?? And then the other day I came home and there was a big box from Kris Thomas – Simply Prims. She made the gals who were planning to go to NY the most amazing Easter Bunnies! Isn’t he the best? He holds a wool carrot and the greens are made from sweet Annie so he smells heavenly too! Kris so talented and creative and generous!! I honestly can’t remember a month’s time frame in the past when so many new to me goodies came to live Behind My Red Door! I am so blessed with wonderful friends and family who are so good to me. I can’t put into words how it makes me feel. I am humbled and thankful. This week Lili had her first dental check up and she was so good! The hygienist in this pediatric dental practice was perfect with such a young child ~ so gentle and calming. She put sunglasses on Lili to protect her eyes from her bright light. Lili thought she looked like a rock star… I thought she just looked too cute! She sat still and got her teeth polished like a trooper! I was thrilled to be able to go with her to this milestone event. Of course Meemee had to surprise her with a special treat for this special day… a new set of wheels… ...to keep at Meemee’s house. She got right on and pedaled away! And here are few more pics before I end. Here is the other side of the room now that I rearranged things…. Hey do you notice anything different?? Here are a few more clues…. Did you guess yet?? Yup, I painted the chair rails to match the lower walls. One step closer to painting the rest of the woodwork in my ‘spare’ time – at least I HOPE SO! Wish me luck! And look who is back!! The ducks have been in the brook and we are hoping it is just a matter of time before Momma nests next to the house again. I’ll be sure to keep you posted if she does! I will close with this wish for each of you ~ whether you celebrate Easter or Passover it is a simple wish…. Fun with friends, more gifts, and more stenciling! I saw this on the web recently and it just made me smile!! We all know how important it is to have time with our girlfriends. I am blessed with some very dear long time friends that still live close enough to see regularly and I had a chance to spend time with 2 of these wonderful friends at different times recently. There is something very special about sharing time with someone who knows your past, where you are from, what your dreams and hopes were back then and can be excited with you to see that many of those dreams are now reality. I met each of these two friends when my kids were very young and among the many things we shared and had in common was that we really looked forward to being grandmothers. And now we all are!! Neither gal decorates like I do but we can talk grand kids until the sun sets and rises once again. It is just wonderful! And inside she has transformed it so that you really feel like you have stepped back in time. I only brought my old point and shoot camera with me (and it is dying – boohoo!!) and I didn’t want to be rude, so I only took a handful (or two) pictures to share. This greeted us as we came inside. This is where we later had our lunch. Lynda placed our regular plates on these old pewter chargers and it was such a wonderful way to set the table. 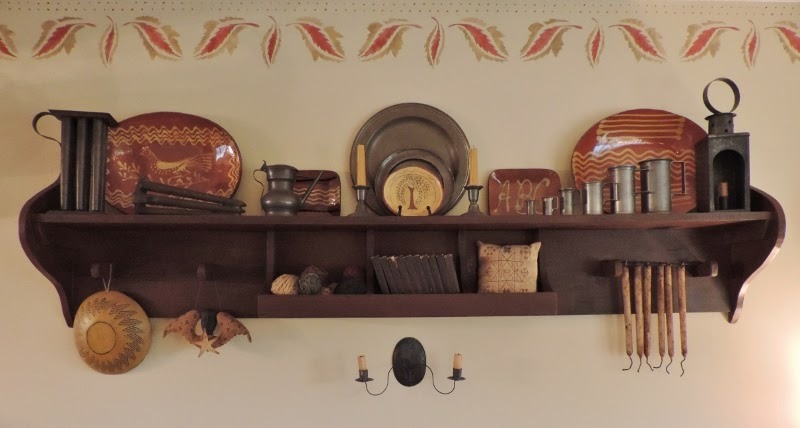 Just a few snippets from around the house…..
Lynda has several Susan Dwyer murals. This is her powder room on the first floor. Her kitchen walls are painted a warm rich color so despite being a large room it is so cozy! Look at this yummy dessert!! Lynda had two fun projects for us to do. She had sewn up pillow forms and we stuffed them with buckwheat hulls and hand sewed them closed. We now have wonderful pillows in a colonial textile. Audrey and I are filling ours. Lynda had a trash bucket full of the hulls. She uses them for mulch in her beautiful gardens. …and she had garden pavers for us to engrave with a date of our choice. We simply wrote the date with a marker and using chisels and a hammer and wearing glasses, we slowly chipped away until we had some depth to the date. Then we sealed them with concrete sealer. You can see the one on the right is sealed already and it really helps to show off the date. They will look wonderful in our gardens when this snow melts!You can’t see mine but I chose 1896. We moved here in 1986 so I transposed the two middle numbers. And now comes the part that had us close to p**ing our pants! Let me introduce to you the wenches - from left to right Audrey, Lynda and Lynne. Lynne does not blog but she visits many of our blogs and always leaves the sweetest messages. Some of you know her as Adsgram. She is so much fun in person and always makes us smile and laugh!! ..and here are their fellas!! Yes, Lynda was able to gather up all those costumes in a matter of minutes!! It was a lot of fun and we all laughed ‘til our bellies hurt! It was a wonderful day with wonderful friends. I am so blessed to have days like that!! Thanks so much Lynda for the great food, great company and fun projects!! The fun didn’t end when we left Lynda’s. When I was dropping Audrey off at her home she surprised me with with an early birthday gift, this wonderful Turtlecreek redware platter! She knows the teacher in me I love the alphabet theme. It looks wonderful in my office and I will treasure it always!! Thank you Audrey!! Yes, I did more stenciling. I have earned over my lifetime to go with my first instinct in decorating but for some reason, I didn’t follow it when I repainted the living room and added the stencil a few years back. While it was perfectly lovely and an historic reproduction, it just never really worked for me. BUT the living room wall goes all the wall down the hall so I would have had to repaint and re-stencil a lot of wall. So I put it off. But now that the long wall that joins the spaces has a mural on it and breaks up the two spaces, I had no excuse. 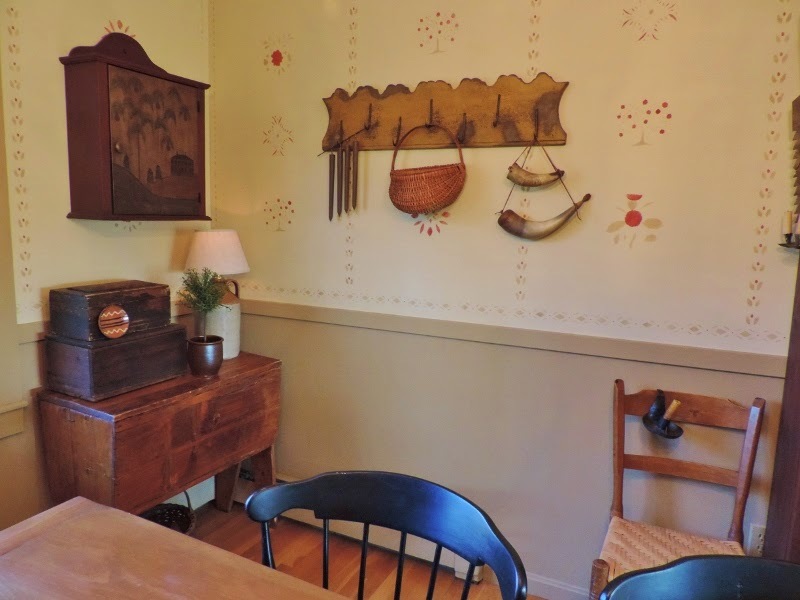 I sent away to MB Historic Décor for the Moses Eaton stencil I always wanted and got busy. Instead of using the same Tyler Taupe I used in the dining room, I used the Barnyard Red and Benjamin Moore’s New Chestnut – which is a bit deeper and bolder. And it happens to be the color on my garage doors and light post and other pieces outside. (Whenever I use interior or exterior latex for stenciling projects, I always thin it just a wee bit.) I needed new brushes before I started this project so I headed to Michaels and they didn’t have what I wanted but I found something better! Martha Stewart foam pouncers!! See those foam cylinders? They are very firm and dense and fine. And see the two big ones, they worked wonderfully in the large open cutouts on this particular stencil. I LOVE these. Over the years I have stenciled many walls – some for me and some for family and friends and I have tried all kinds of brushes and sponges and these are going to be my main stay from now on. The sponges come right out of the plastic casing to wash. I used them just as I would a stencil brush making sure there was not too much paint on them. I personally think they are brilliant! That’s all I can show you because I only got half way around the room. My trip to Michael’s included a side trip so I got a late start and haven’t had time to get back to it. I’ll show you more pics when it is all done! That side trip I mentioned.. well it was to a new marketplace in the area… the Brick Mill Marketplace in Uxbridge, MA. Click ~here~. It was only 15 minutes from Michael’s so I just had to include that in the trip as well! Remember in my last post I said I was looking for an antique piece to put on the mural wall? Well I never thought I would find it so soon. Meet my new to me antique blanket chest. I spotted it right away and knew it would be my birthday present from Mr. Red Door! Thanks honey! I quickly put these pieces on it to snap a picture but I hope to change things out soon. In my last post I mentioned how I get many questions about my fowl rack. My large dark red shelf with the cubbies that is over my Homestead Chair in the living room receives almost as many questions. I got this wonderful piece in 2004 at the wonderful Primitive Thymes in Spencer, MA ~ Karen and Rich Boulay are the shopkeepers. And as much as my taste has evolved and changed, 8 years later I still love this shelf as much as when I first brought it home. I love the chunky pegs, the 3 cubbies in the center, all the display space and the dark red color. I don’t know if they still carry this but you can click ~here~ and check out the other prim items in their great shop and tour their wonderfully primitive home as well! I hope ( I am not promising) that the next time I come back I can share a few pics of where Lili and I spend a lot of our time. It’s one of my best kept secrets after all!